These are the most magnificent shoes ever!! 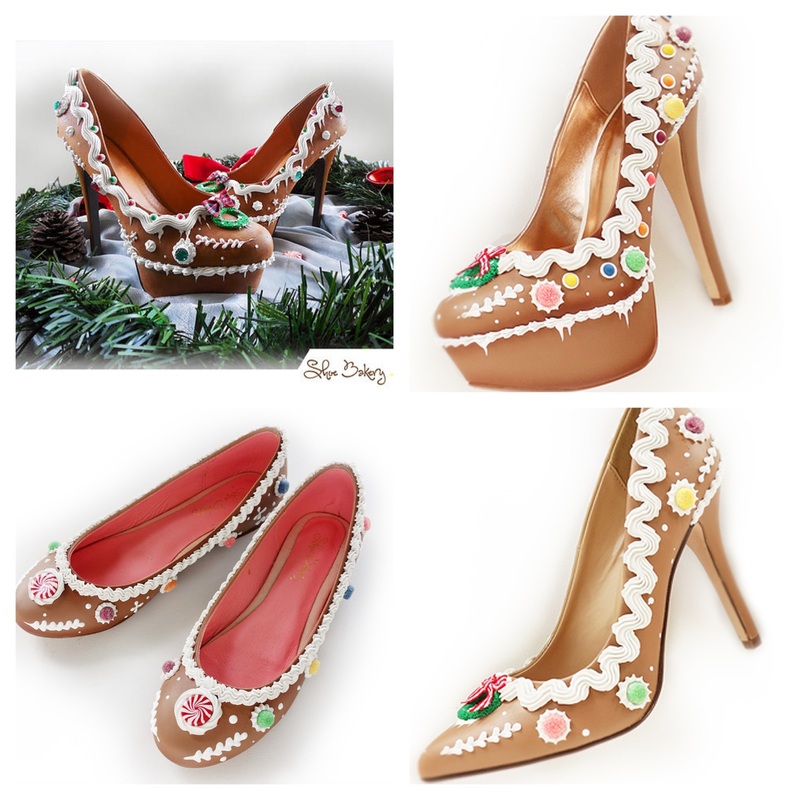 Gingerbread designed shoes from Shoebakery. These are seasonal art pieces offered in very limited quantities. These Gingerbread heels represent the spirit of the season with gumdrop candies and decorations that resemble a Gingerbread house. To top the design off, the toes feature a mini wreath! Enjoy! Visit Shoebakery to learn more. The secret is out!! This is the hands down BEST yummiest gingerbread mix ever. You will love it so stock up now. It also comes in gluten free so really, everyone can enjoy this special treat.Among its all-natural ingredients are the world’s finest spices: aromatic Saigon cinnamon, nutmeg from Indonesia and spicy Madagascar cloves. Bits of crystallized ginger add a pungent sweetness to each bite. Enjoy the bread just out of the oven for a wonderful wintertime dessert. 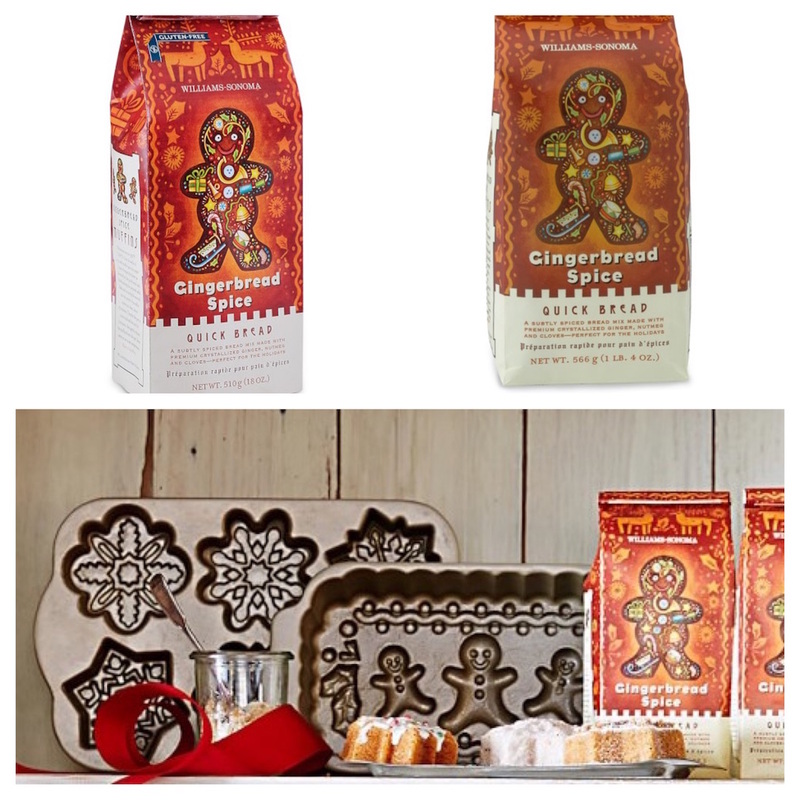 This wonderful gingerbread is sold by Williams-Sonoma. Regular gingerbread and Gluten-free gingerbread. Stunning right? 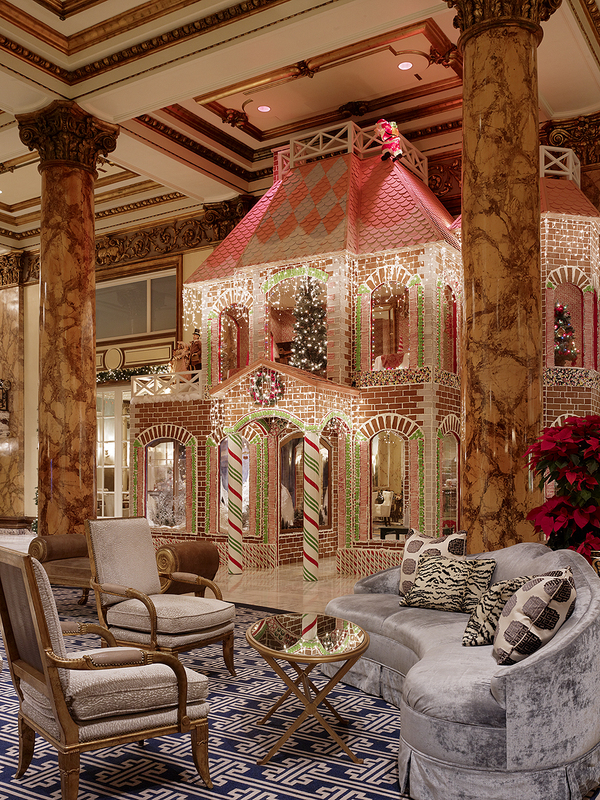 This magnificent Gingerbread house was part of the Fairmont Hotel’s ‘Gingerbread Spice and Everything Nice‘ holiday. 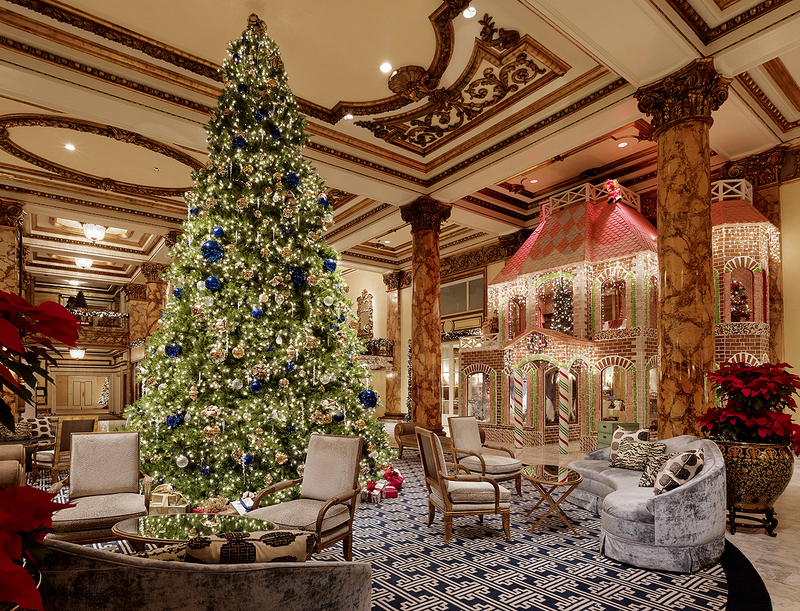 The lobby of the Fairmont is gorgeous and the Gingerbread house is practically life-size and decorated with such panache and style!! Beautiful!! You can read more about this stunning Gingerbread house here and the display measures an impressive 6.7 metres high by 7 metres wide and each year the pastry shop staff take an amazing 520 hours creating the gingerbread house out of 7,750 pieces of gingerbread, 556 kg of royal icing and 306 kg of sweets. Let’s not also forget the engineering department who take a massive 375 hours constructing the framework! 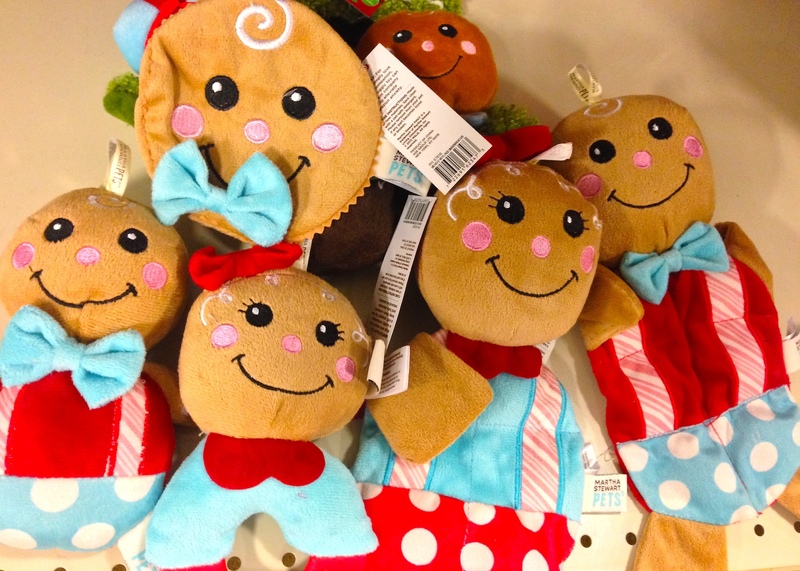 Ugly Christmas Sweaters or Cute Gingerbread Man Jumpers? Isn’t this fabulous!! 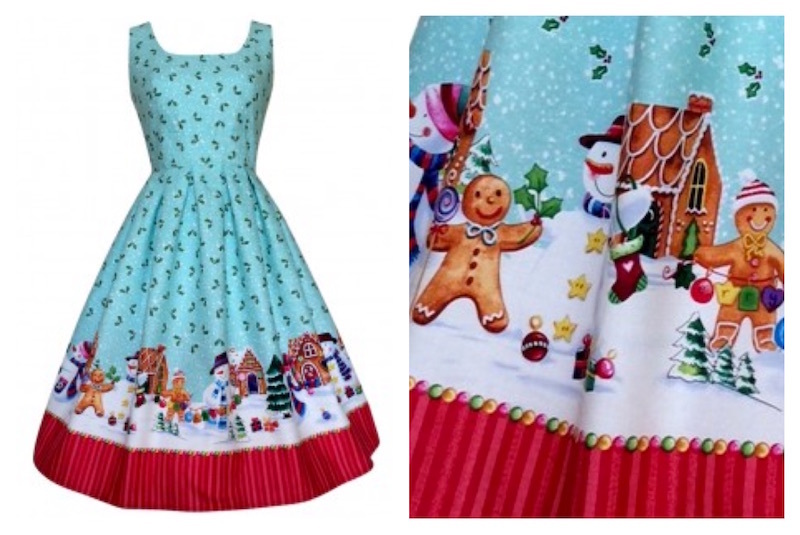 A gorgeous vintage 1950s style Christmas dress with pretty festive colors, turquoise and holly berry bodice, Christmas trees and those irresistible Gingerbread houses and Gingerbread men. This dress is available here from Pigtails Pirates and will surely be a stand out at your holiday party and festivities. 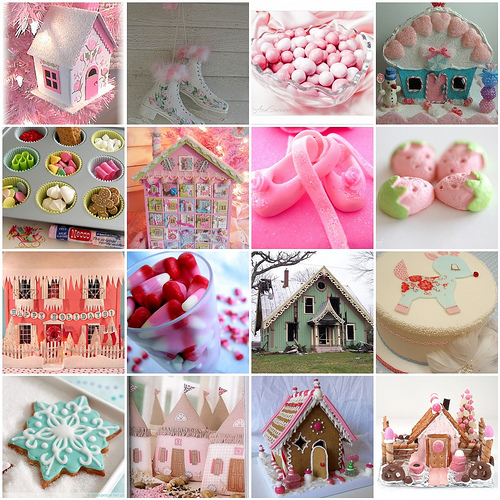 With the trends lately following Shabby Chic, Cottage Chic, Marie Antoinette, and the color schemes of pink, aqua, white and silver, here are some amazing creations that are not just Gingerbread but can certainly lend some ideas towards crafting your “romantic cottage” Gingerbread House for Christmas this year. Read more here. All the elements of a sweet summer are right here! 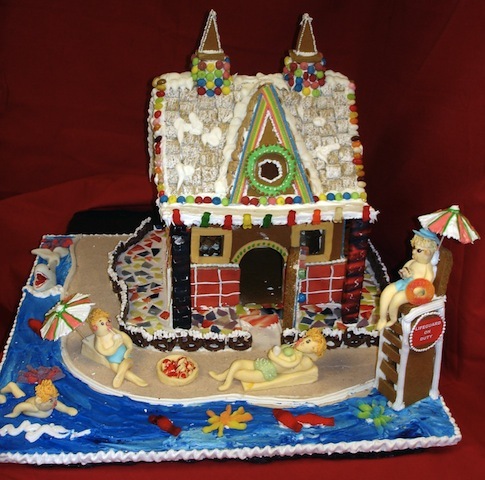 First, this is a Beach House made out of Gingerbread complete with a pretty blue beach, swimmers, and a lifeguard. 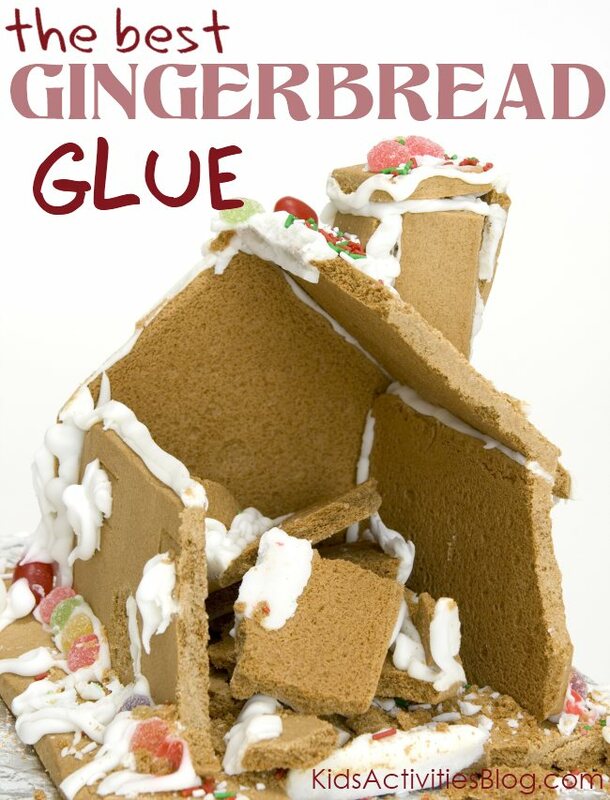 This one sure takes being creative with Gingerbread to another level!! Fun stuff indeed. 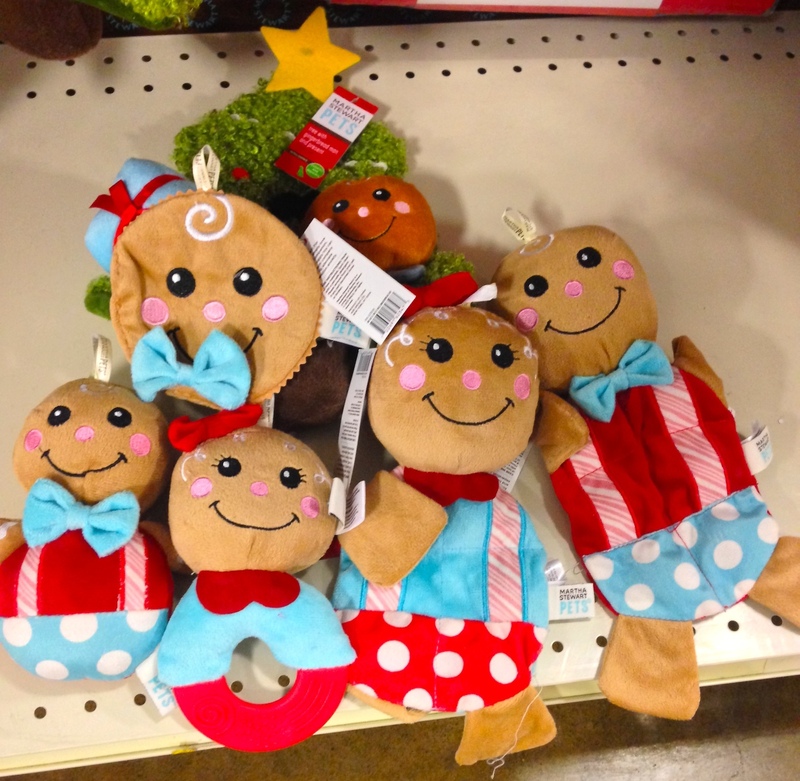 Hope you are all having a cool summer….filled with Gingerbread of course!! 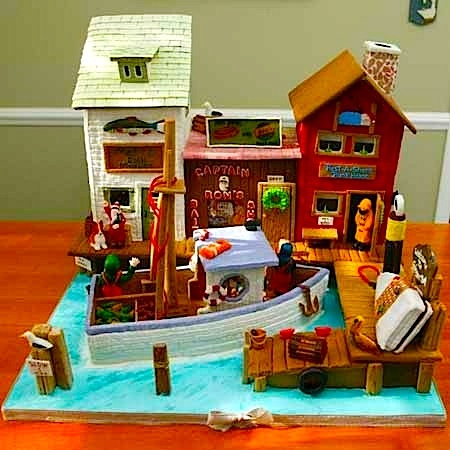 Gingerbread houses come in all shapes, sizes, and themes and this one is a ‘Seaside’ village themed Gingerbread creation. This seaside village has a pier, dock, shops, fisherman and even a seagull perched atop a post. Dream BIG and you can create it! !